Last weekend was the anniversary of my back injury and the emergency surgery which left me with a weak leg. In my job as a physio I see people every day whose lives have changed in that they are no longer able to participate in activities they did before. Some have had dramatic accidents, but many have simple incidents, like me, that change their lives. It doesn't matter how dramatic or how severe, the fact that you can't do something you used to take for granted starts to define your existence. That's the trap... And you are the only one who can get yourself out of it. Having a life changing injury is just that - your life stops going in the direction you thought it would go - no one plans for not being able to walk or make coffee - it is a massive shock and your life can come tumbling around about you as the reality sets in that its never going to be the same again. 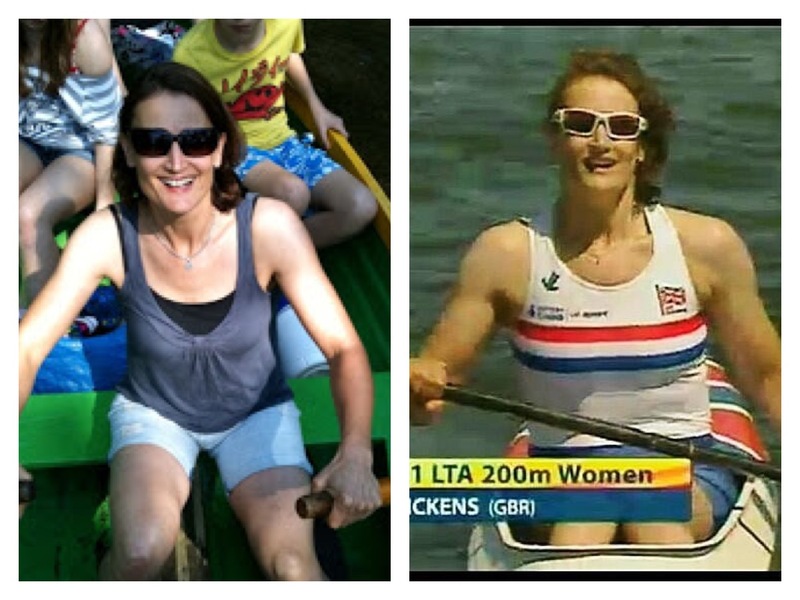 So how did I change from a broken endurance mountain biker in to a world champion para canoeist?? You have to have to be able to Dream to get yourself out of the dark place that you have found yourself in. You have to be able to dream because the reality is sometimes too hard. Things happen twice in the world, once in your head then again in real life so once you have dreamt about something you are half way there already! But how do you change a dream into reality? D - stands for Decision. It's so easy to focus on how much you think has been taken away that you forget about everything you still have. It wasn't until I Decided that even though my legs didn't work the same as they used to I still had my arms (and a whole lot more besides !) and in focusing on the positives there was no reason to stop my enjoyment of life. R - stands for Route. once you have decided that you have 'lots' instead of 'nothing' the next step is to find your new Route. If you keep on trying to navigate the path of your old life you will always be reminded of your injury and remain frustrated. I looked for opportunities to change things and embraced new challenges which played to my strengths, rather than those restricted by my weaknesses. The fact that I found my route whilst volunteering makes me smile, but that's another blog... 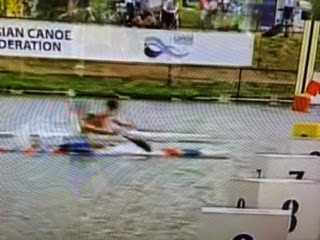 When I was asked if I wanted to try out for para canoe the obvious answer was no! After all I was 45, I wasn't fit anymore, I hate water, and I had never been in a canoe before. But it wasn't mountain biking, so it was a possible new Route and I said yes. A - stands for Action. It's all very well reading, watching and talking about something, the next step is to put some real action behind it. You became proficient at your old activity through hours (probably years) of practise and proficiency in your new activity isn't going to happen overnight. I joined my local kayak club and spent hours and hours learning how to paddle. I realised that I needed to get stronger in a different way than I was before and so started going to the gym - again something I had never done on a regular basis. 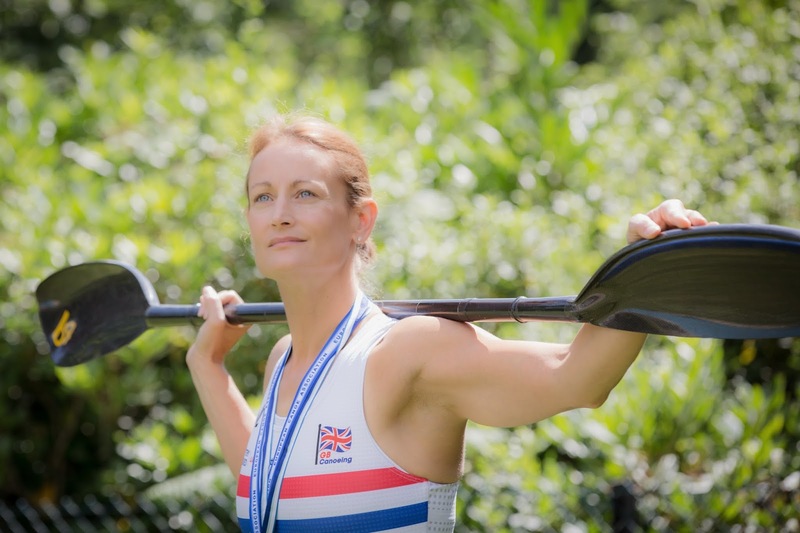 It was exciting seeing how my paddling body, with the correct input, started to change despite my age. My weedy cyclists arms soon bulked up and the empty dinner plate challenge soon became a thing of the past. I am now lifting my body weight with ease. Yes it took perseverance, and also patience, but gradually Action turned into results.! M - stands for Mentor. I cant stress enough how important this is. Navigating this journey is hard to get right on your own, so try to find someone you can trust to guide and motivate you through the process. This is where Enthusiasm and Action are also key. Your new Mentor(s) are likely to be people who didn't know you before and nobody will want to put time into you if you aren't putting effort in. I have been so lucky to find mentors for every aspect of my new sport, but it is two people that stepped in right from the beginning that have been key to my journey. 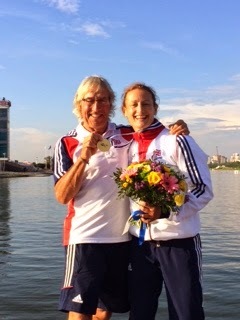 Phil and Claire Gunney are both accomplished ex National paddlers and volunteer coaches at Wey Kayak Club. 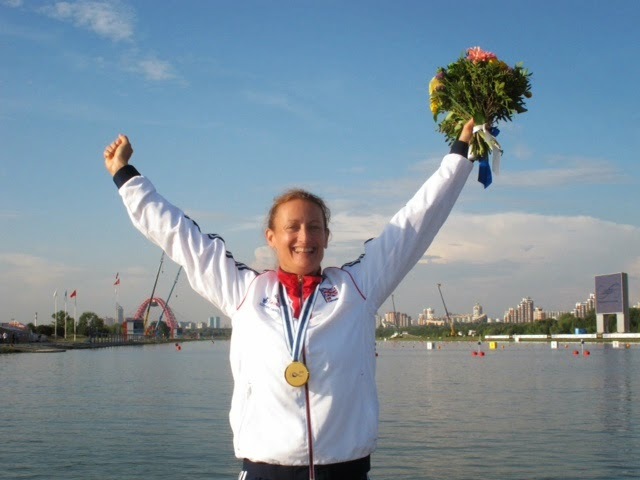 They took up the challenge of teaching me to paddle and since then they have assisted with every aspect of my training as well as becoming close friends. Their experience and knowledge of the world of kayaking has been invaluable. They have been there 100%of the way and have been there to cheer loudly when I get things right and to hold me up during moments of trauma and doubt. Sorry this is a bit of a long one, grab yourself a cup of tea while I tell you about the Gold that very nearly wasn't! 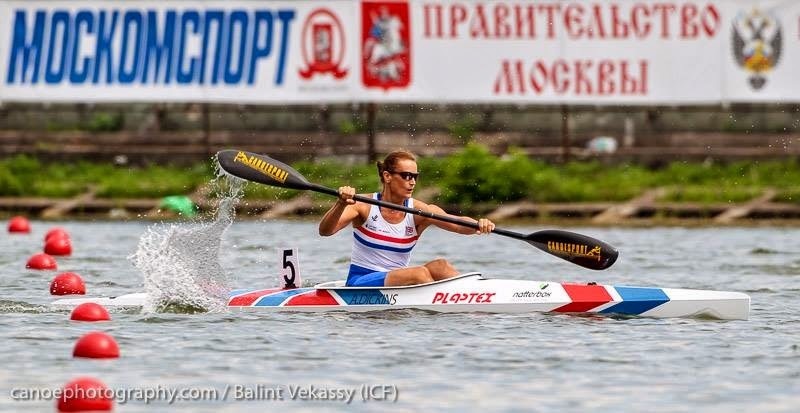 I love an adventure, and heading to Moscow for the first time, to compete on the Olympic regatta course, turned out to be exactly that. 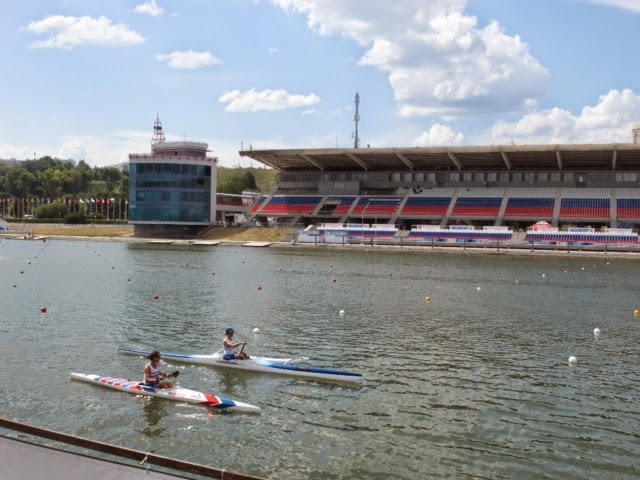 It was an impressive and interesting venue to hold the 2014 World Sprint Canoe Championships. 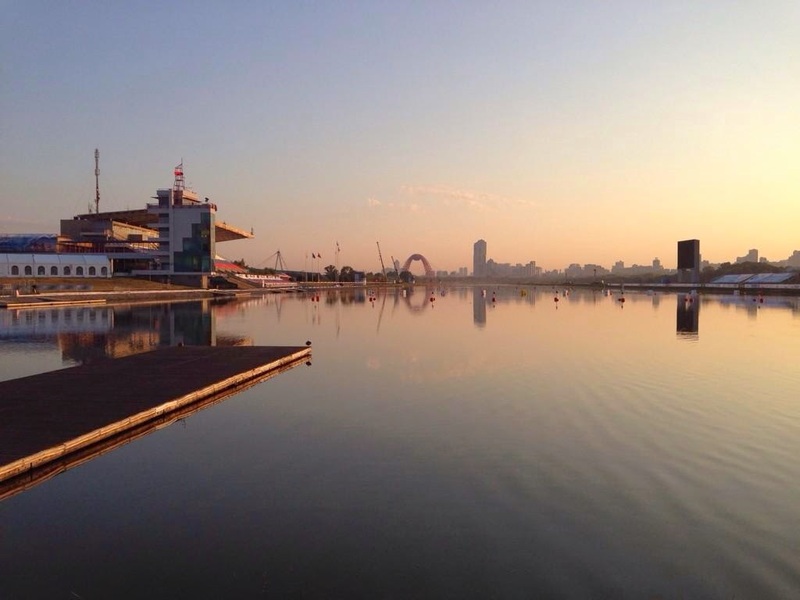 The regatta lake itself has a city skyline, iconic Olympic structures and, given the current political tensions, armed security guards everywhere. I have to admit to arriving for my first practice paddle with a mixture of awe, apprehension and excitement. Most of you will hopefully already know I came away with my first World Gold (having taken Silver in my first attempt the year before), but getting that win was some “adventure”. The first 'challenge' was during my practice paddle. The start mechanism malfunctioned, thrusting my boat out of the water as I paddled over it. Going for an unplanned swim the day before my heat wasn't good mental preparation. 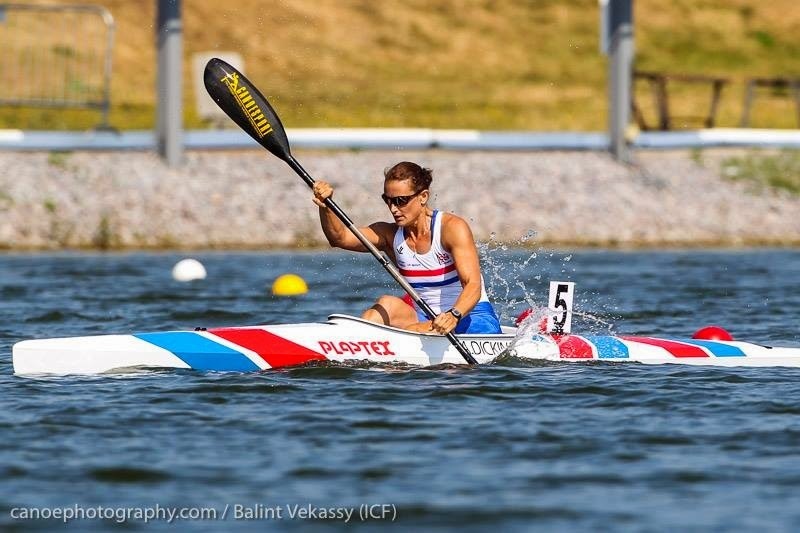 On the plus side I learnt (the hard way) how to get back in a boat in the middle of a lake (massive thanks to the GB K2 pair Johnny Boynton and Ed Rutherford for rescuing me), and it also proved the theory my coach had been telling me that on capsizing I really could float free from the bindings in my boat! On the downside, it freaked me out a bit and the hull and the rudder were damaged so had to go to be fixed before my heat the next day. This prevented me from further practice before the most important race of my season. The next day arrived and Harry (my boat) was back from the menders - polished and fixed, with a new rudder. As I paddled away from the jetty for my heat something was very wrong. The boat wouldn't go in a straight line and pulled heavily to the right. Initially I thought it was just me being unsettled after my “drama queen” capsize episode the day before. It wasn't, and there was absolutely no way I could paddle in my race without being disqualified for going into someone else’s lane. I didn’t ask for this kind of adventure! Refusing to panic, I waited for my coach to find me on the lakeside and we spent a frantic (me – he is always calm!) 15 minutes trying to alter the rudder. It wasn’t perfect but it would have to do and, with a few minutes to spare, I paddled to the start of the heat with no warm up. With more brute force than skill I thankfully managed to keep to my lane and even won my heat, putting me straight through to the final the following day. After the storm a new race time was announced. I decided to eat early and then start the warm up process again. Just after I finished eating a message came through saying that my race had been bought forward. I looked down at my empty plate and full belly and instantly regretted eating! My warm up began again, with more black clouds gathering. 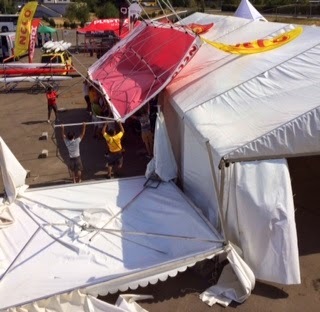 I carried on my warm up, ignoring the howling wind, the marquee falling down around me, and the distant rumble of thunder. 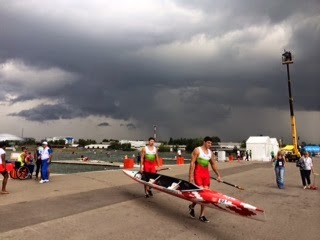 Just as I was about to get on the water there was another bolt of lightening and the announcement came that all racing was cancelled for that day. We didn’t get confirmation of the revised times until the next morning. 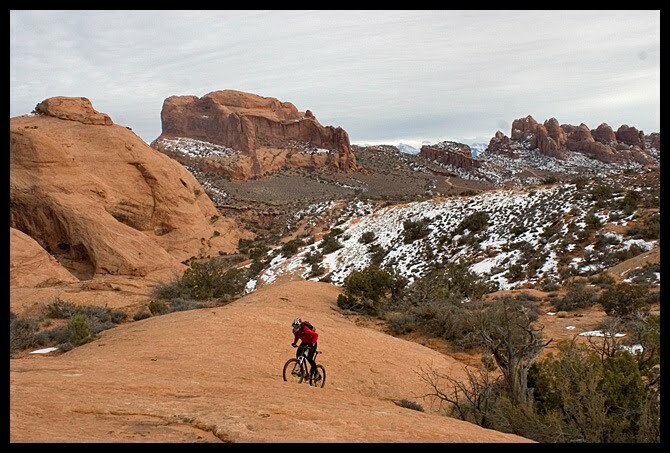 As I warmed up for the 4th time for my race (I had made the effort to get to the lake early this time for a pre warm up paddle;-)) I was glad of my 24 hour mountain bike race experience, which teaches you to concentrate on just the present. In fact my coach was concerned that I was too laid back, “You have a race today you know?" I think I was half expecting it not to happen again, so when I finally got onto the lake I was a bit taken aback - its actually going to happen!! I was also suddenly aware of seeing armed guards every 20m or so round the lake - another interesting development. We didnt find out until later about the bomb scares! The wind kept changing direction, but as I lined up for the start, finally something went my way - it became a “tail cross from the right” which, with my weak right leg, is my preferred direction. GO! Argh - what was happening??!! For some reason my right (weaker) leg wasn’t working in its usual way and my timing was completely out. This caused me to do a couple of massive wobbles, letting everyone pull ahead. I had to draw strength and determination out from every part of my body. I was so angry and a red mist came down as I kept focusing and refocusing on my leg to bring it back. After what seemed like an eternity this worked and I could feel my rhythm returning. The boat leveled out and I knew I was gaining on the boats in front, but I didn't have that far left to bring the race back. I dug deeper and mentally pushed the finish line further away to force me to aim for something in the distance, rather than a few feet away. I didn't hear the beeps as we crossed the line and really didn't have a clue who had won. To be honest I no longer minded. My Russian adventure was over. It had been an exciting race and I had put absolutely everything in to fight right to the finish. I had nothing more I could have given. After what seemed like hours the results flashed up on the big screen and I had won by a mere tenth of a second!!!! 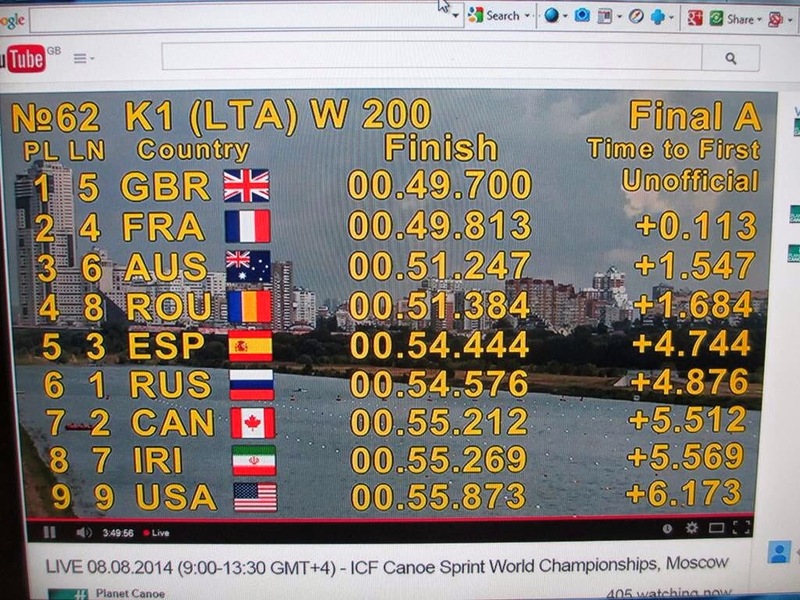 In fact I had posted a PB (49.7 seconds), become the first woman para-canoeist to break the 50 second barrier in competition, and I had broken the world record that I had set in the Euros a few weeks earlier!! 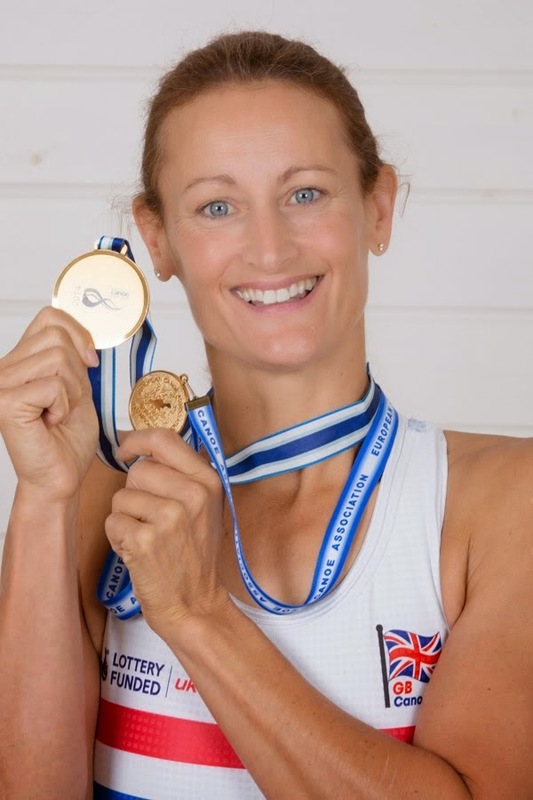 win, world record, and 1st para woman under 50 seconds!! Apparently I had also caused a little anxiety in the team GB camp – the coaches were very happy, but in a stressed 'that was mighty close' kind of way! "Great race Anne, but please don’t leave it so long next time, my heart can't take it!!" At this stage last year I was competing with an injury and I was determined to get to this point with no 'excuses'. Clearly I am happy with the result, but Im probably happier that my years training went well. I missed only 1 training session due to 'illness or injury', and I have come on massively in all my targeted areas. A measure of this is that I dropped 5 seconds from last year’s world championships to this and I feel very fortunate to be surrounded by super skilled coaches and a great support team. I am really excited about next year. I have watched the video over and over and know I have lots of room to improve. But first I’m going on holiday, for a proper old-fashioned cultural adventure, with not a kayak or gym or armed security guard in sight!